The annual senior services convention will be held at nearby Calvin Presbyterian Church. The King City Expo, an annual opportunity for the public to learn about different senior living services, is coming back for its seventh year — but this time, it's got a new name. Due to a change in the King City Clubhouse's bylaws, the Expo was forced to move to Calvin Presbyterian Church in Tigard. Hence the new name: The Tigard Senior Expo. It will be held from 10 a.m. to 2:30 p.m. on Friday, Oct. 5. 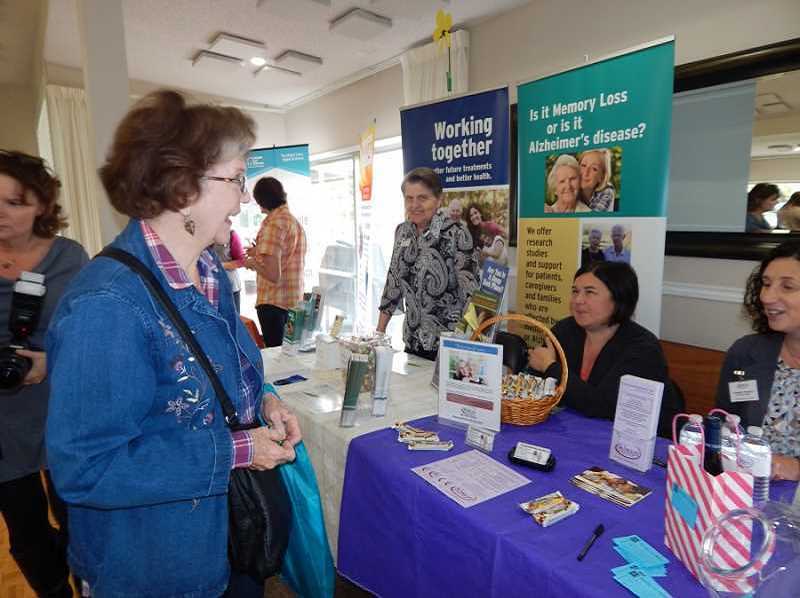 But Kathy Peper, who owns To Your Door Salon and Spa and has organized the event since the beginning, said that despite the change of location, the Tigard Senior Expo will still be geared toward King City residents, while also inviting newcomers from Tigard and beyond. Calvin Presbyterian is about a mile from the King City Clubhouse. "The target is, of course, King City and Summerfield," Peper said. "As I've gotten used to the idea of doing it in a new location, I think that the outreach will be slightly different. King City is kind of a state unto itself, but moving it to Tigard, now there's a much broader audience suddenly. So I'm hoping that it will reach out to people who didn't come before because it was in King City." Peper started the Expo seven years ago, after hearing from a friend in the home-care industry that he needed a way to inform his clients about all the senior services they could access. At the time, she sat on the board of the Westside Referral Network, and she used her connections to organize the first Expo with the help of her friend. The first event had about 50 vendors, and it has only grown since then. The Expo typically draws between 300 and 350 people, with its highest attendance being around 400. It includes tables from dozens of vendors and non-profits, including Washington County Veteran Services, Ride Connection and Alzheimer's Association. State Rep. Margaret Doherty also will be in attendance. "Rep. Doherty said that she learned of issues for seniors that were an easy fix and that she would introduce language in the Legislature to help protect them and help make them aware of services," Peper told the Courier after last year's Expo. Attendees to the Expo will receive a free catered lunch, and a tote bag to collect information and giveaways from vendor tables. Professional piano players will provide entertainment. But the biggest draw is a repeated favorite from last year: a custom-built Harley Davidson motorcycle hearse will be parked outside the church, courtesy of co-sponsor Threadgill Memorial Services, for attendees to take pictures with. "It's really a fun thing to see," Peper said about the hearse. This year's Expo also will give seniors the opportunity to have their photo taken in Western costumes. Peper is hiring a professional photographer for the occasion. "It's a big project to do that," she said, "but it's a lot of fun."